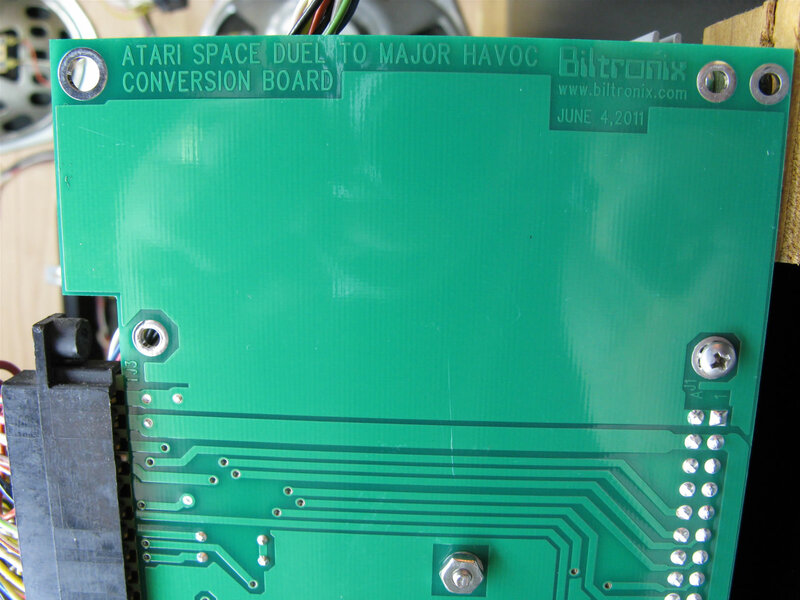 The Space Duel to Major Havoc Conversion Board (BXMHCSD) is a Biltronix direct replacement for the original Atari converter board. 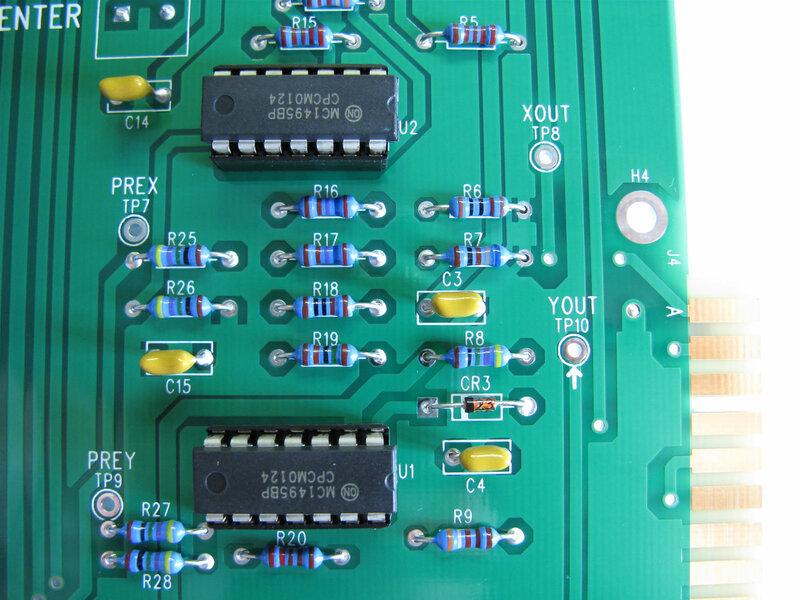 All of the original circuitry and connectors are duplicated. 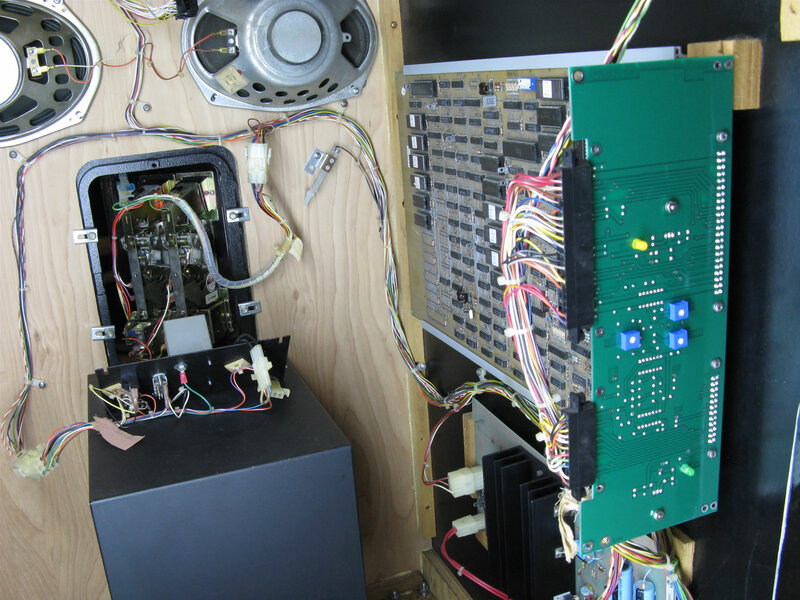 The BXMHCSD board works in Space Duel, Black Widow, and Gravitar cabinets just like the original Atari board. Note that this board will not work in a Tempest machine. 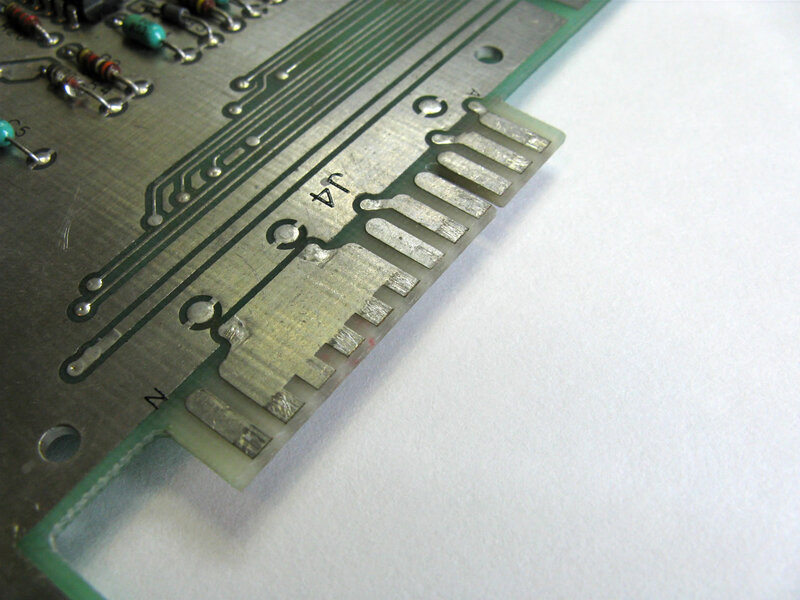 The BXMHCSD board was designed to duplicate the full functionality of the original Atari board (w/numbers A042441/442) including the pin-cushion correction. 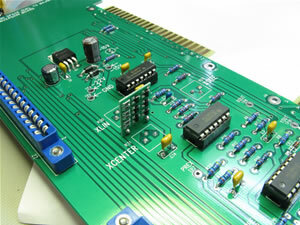 While the basic circuitry is the same as the original and the component layout is very similar, the trace routing is completely new. This was done to improve reliabilty, robustness, and noise immunity of the system. Other improvements are described below. 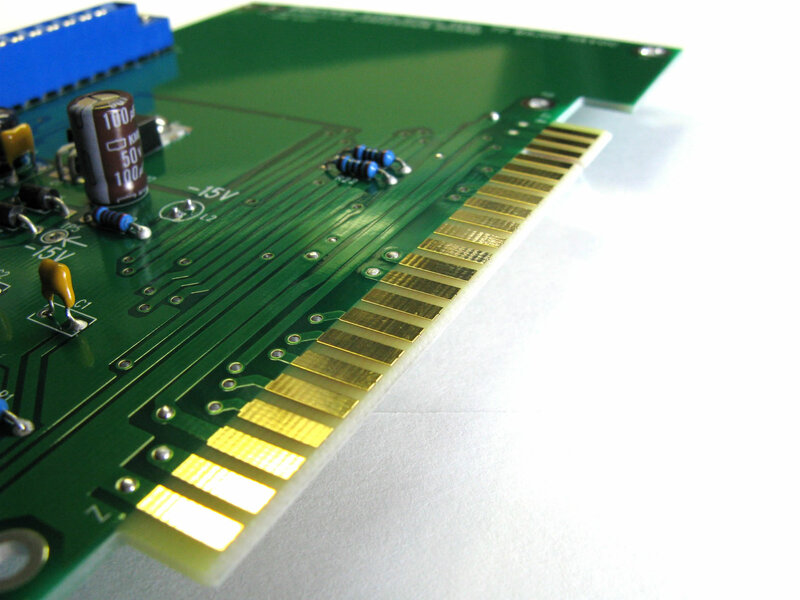 All boards are hand assembled with care and are fully in-game tested before shipping. 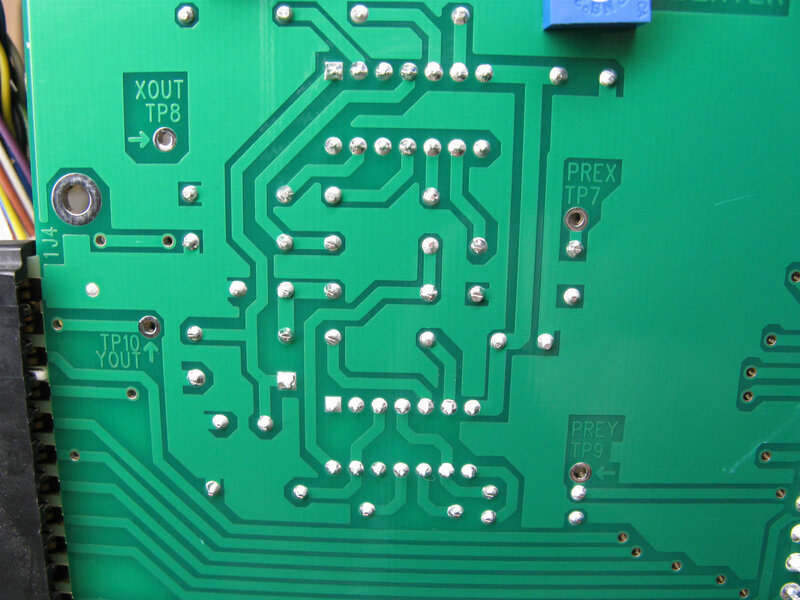 BXMHCSD PCB has the same outline and is CNC routed for accuracy. 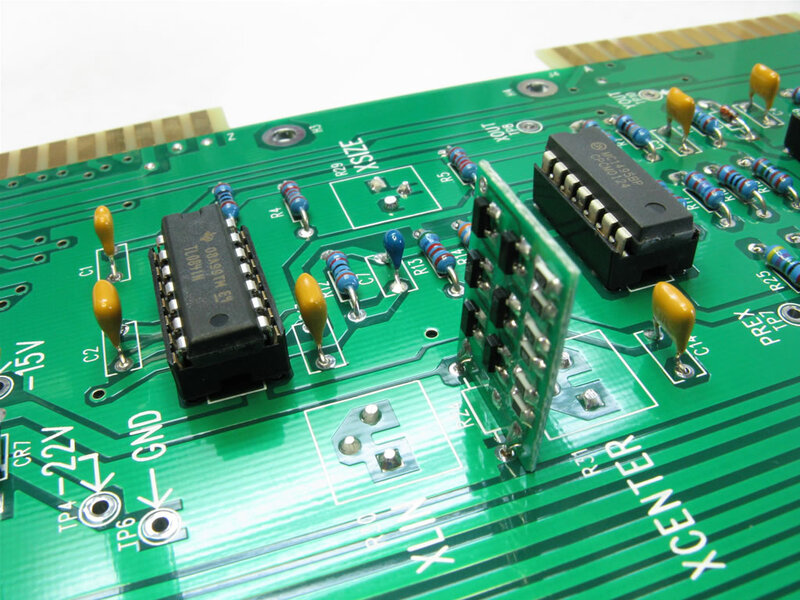 The main circuit and the component references are the same as on the original Atari schematic making troubleshooting and component identification easy. Edge fingers are hard gold plated for better connectivity. These edges are also beveled. 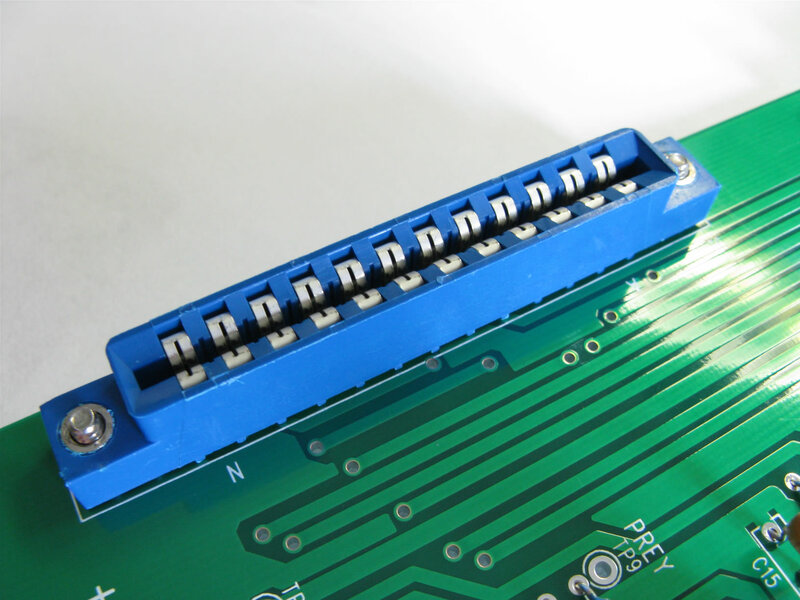 Edge sockets are bolted directly to the PCB with stainless steel hardware to eliminate stress on the socket terminals and solder joints. This greatly improves long term durability and reliability. Diodes added near the voltage regulators to prevent failures due to transient voltage spikes. 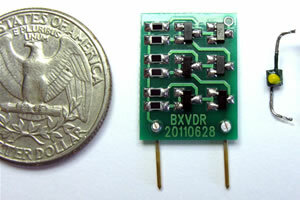 Labeled test points added as an aid to diagnostics include +/-22V,+/-15V, Pre-X, Pre-Y, X-out, Y-out. These points are accessible from either side and are fully labeled on both sides. 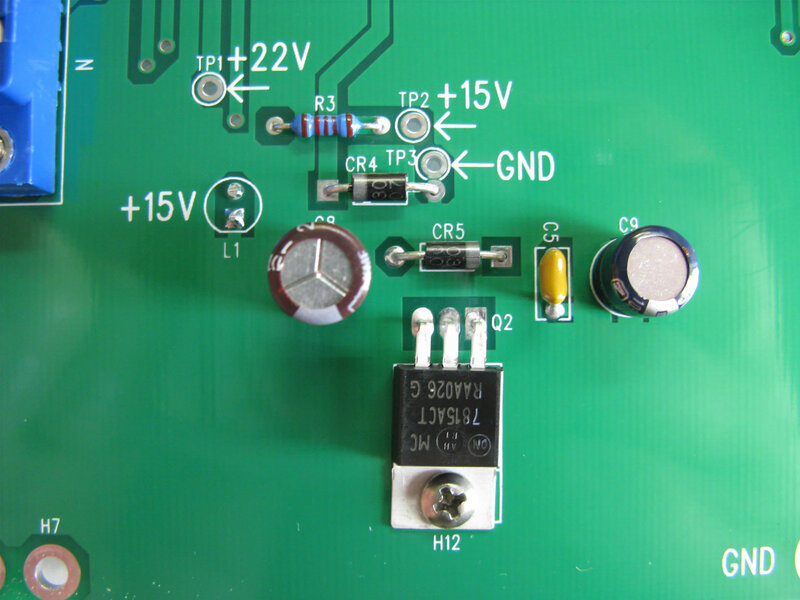 Labeled power indicator LED's added to show plus and minus 15V supplies. 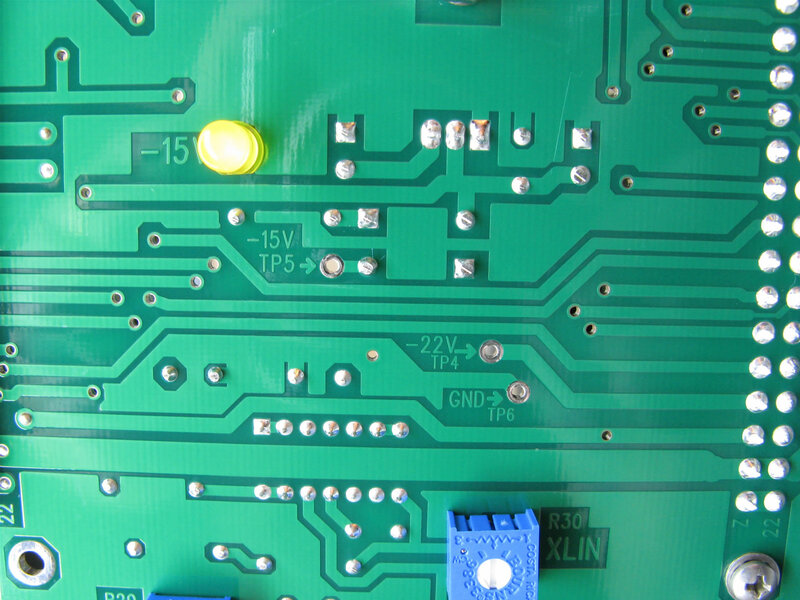 The board allows the LED's to be populated on either side but are supplied on the PCB back side so they are easily seen when the cabinet back door is removed. Notice the LED's and the Trimpots on the board in the installed orientation. 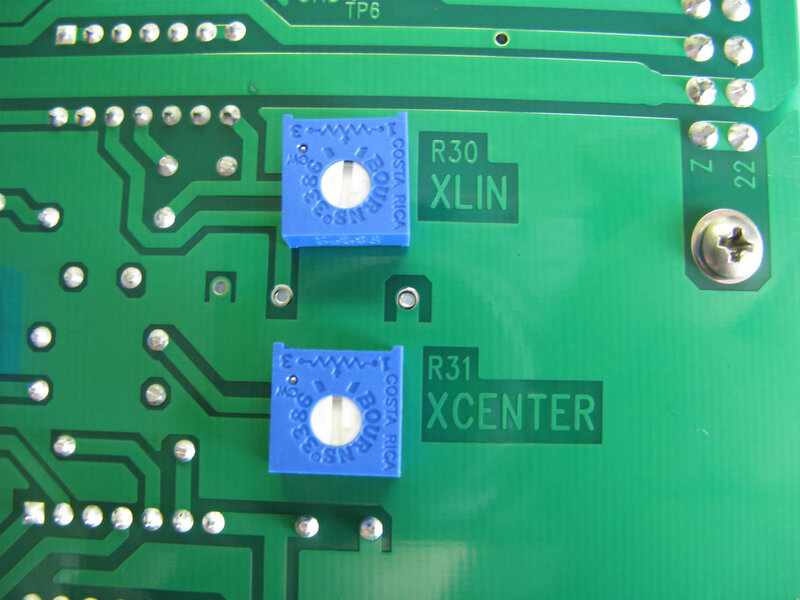 The trimpots for XSIZE, XCENTER, XLIN are labeled on both sides of the board. 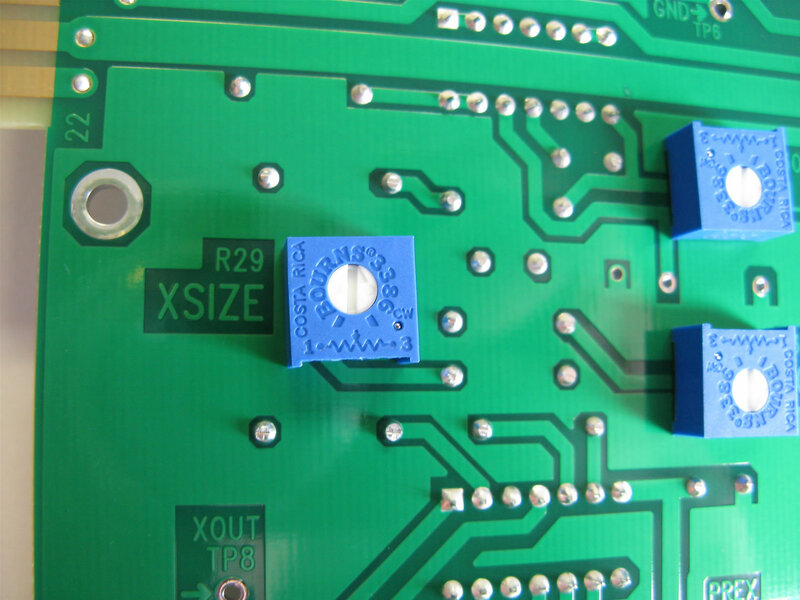 The board allows the pots to be populated on either side but are supplied on the PCB back side so they are easily adjustable when the cabinet back door is removed. No more reaching around the board to adjust a pot that you cannot see! 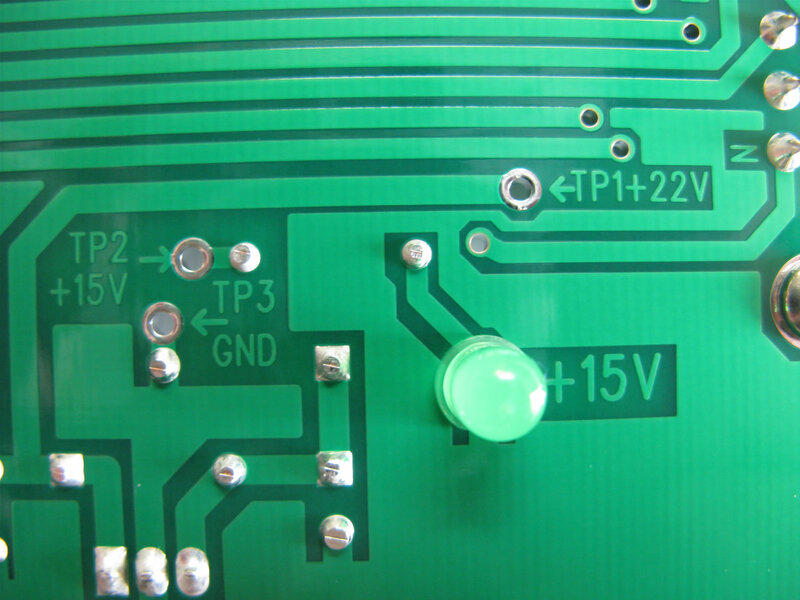 All axial packaged capacitors changed to radial packages because they are more readily available. 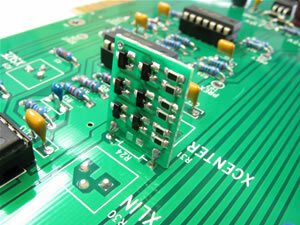 Copper floods on both sides of PCB for better noise immunity. 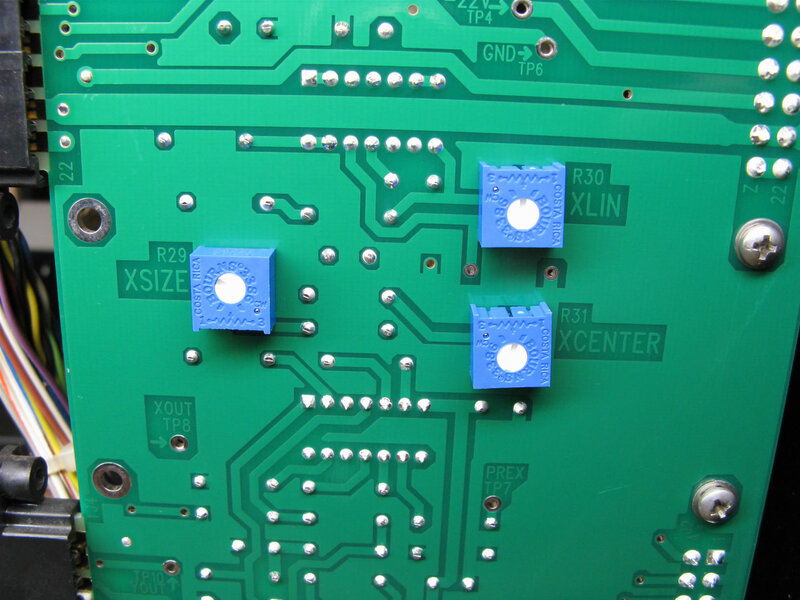 Dramatically increased copper areas dedicated to voltage regulator cooling. 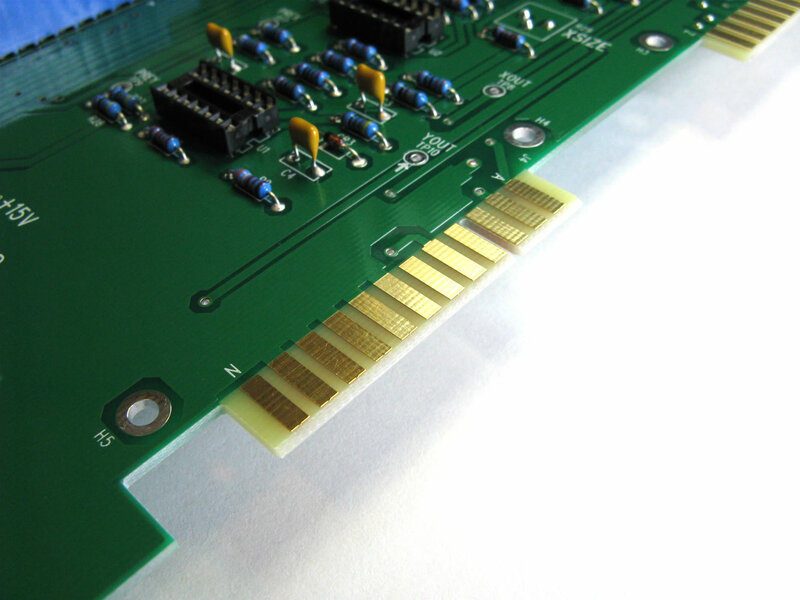 All traces are much thicker for robustness and improved connectivity. 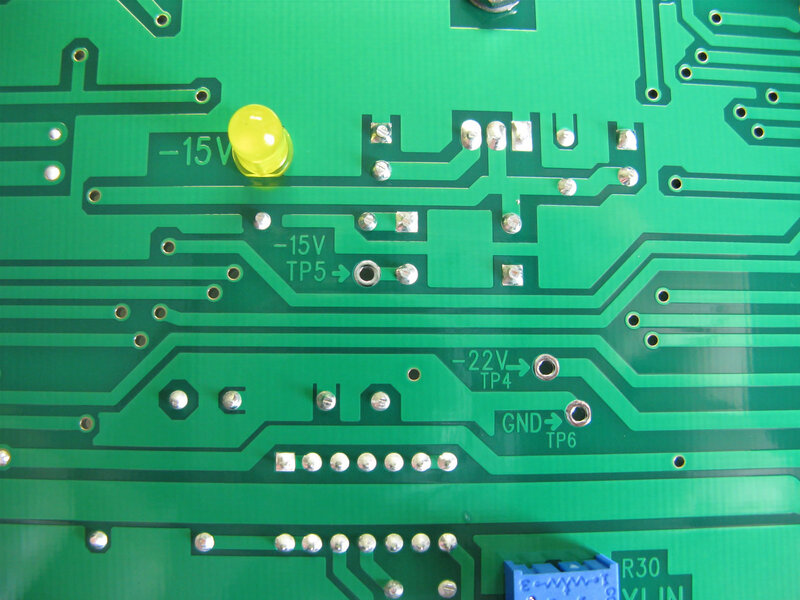 Full solder mask on both sides of the PCB. 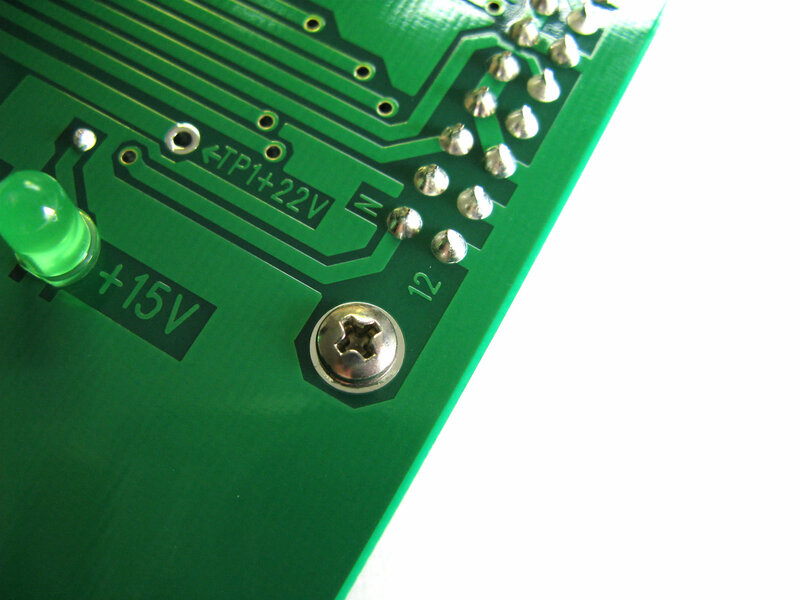 The PCB's and all components used are all lead free (RoHS compliant). 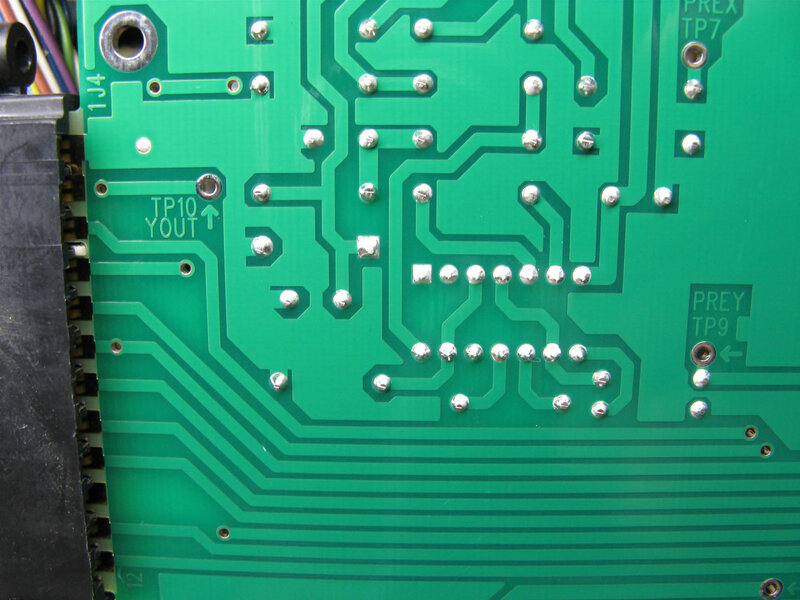 The original Atari VDR (voltage dependent resistor) located on the board at location R24 was a custom made semiconductor. It was a specially doped silicon carbide wafer with leads attached to form an axially mounted resistor. 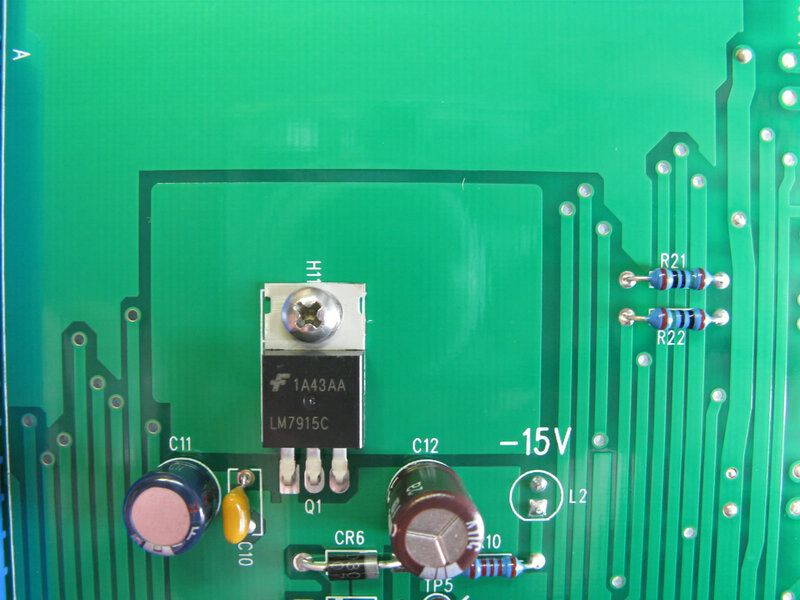 This resistor has an unusual property in that its resistance value decreases exponentially as the voltage applied across the component increases. The non-linear response of the VDR was used to create the "linearity" adjustment that allowed the operator to calibrate the straightness of the diagonally drawn vectors. 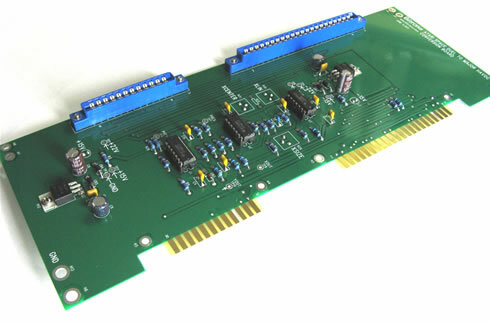 The VDR was used on the Space Duel and Tempest to Major Havoc converter boards and also on many of the game boards such as Space Duel, Black Widow, Gravitar, Major Havoc, Star Wars, and probably several others. The original Atari VDR component is now very hard to come by outside of the game boards themselves. There is no modern equivelent that I am aware of. 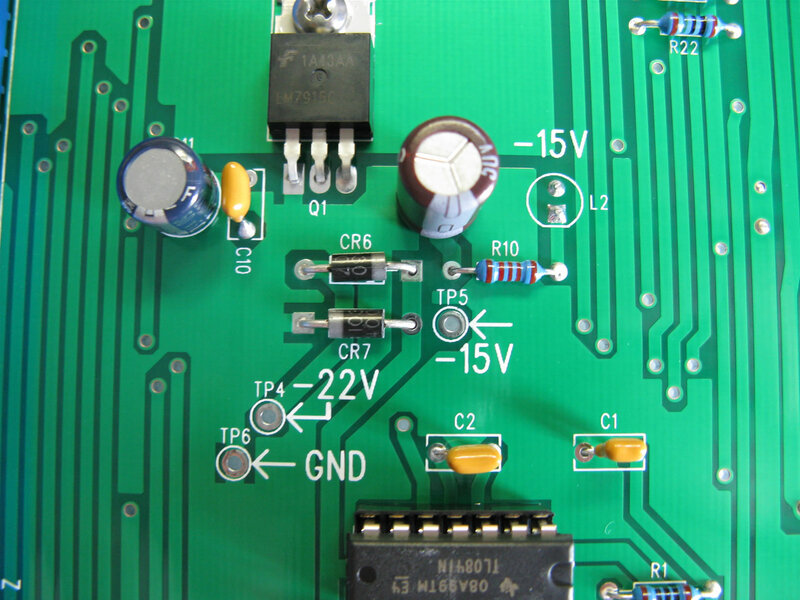 While there are plenty of so-called non-linear resistors available in the form of over-current and over-voltage protection devices (referred to as polyswitches, polyfuses, and MOV's), none of them lend themselves to the application of linearity adjustment. This is because they are all engineered specifically for over-voltage or over-current protection. Modern components are made from Zinc Oxide that has a very sharp turn-on response. Also, the turn-on response usually occurs at a voltage that is too high to be useful in the VDR application. With no supply of original or equivelent VDR components available, I had to create a substitute circuit (BXVDR shown below) that provides the same resistive response as the original Atari part. The BXVDR installed at location R24. 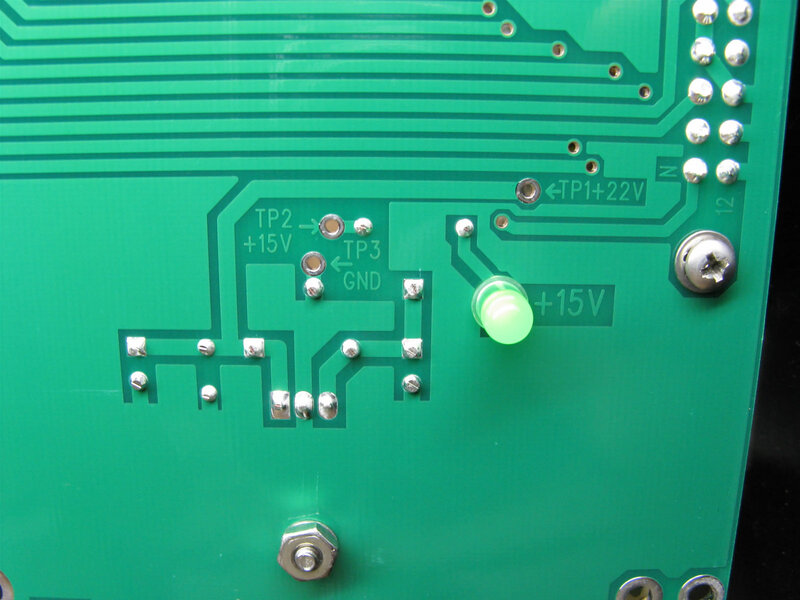 All BXMHCSD boards ship with this small daughterboard installed. 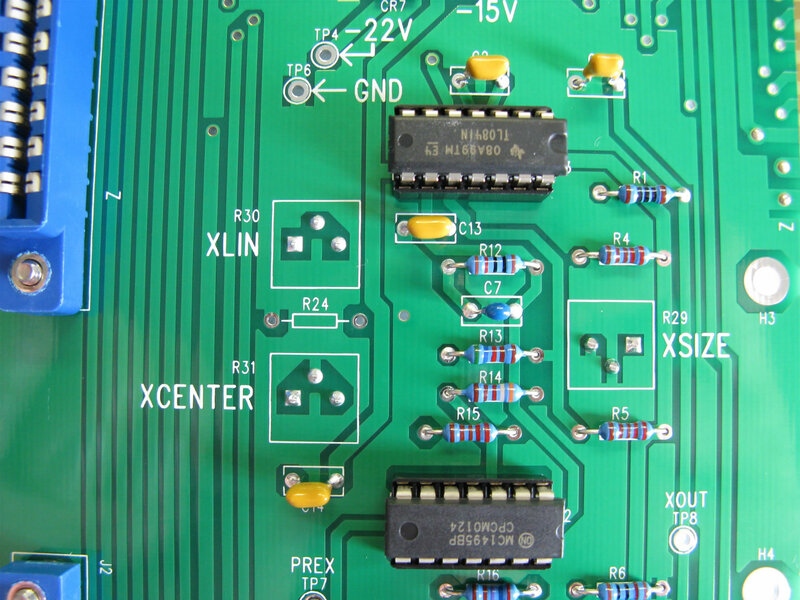 You may order the Biltronix Space Duel to Major Havoc Converter (BXMHCSD) board by sending me an email with your request, full name, shipping address, and PayPal address. I prefer PayPal and payments must be made in Canadian funds. It usually works out best if I send you a PayPal invoice to your email address. Shipping will be calculated on an individual basis.